It’s a Wednesday night in late January and Bar Luciole in Cognac, France, is comfortably full. Bartenders from a Europe-wide cocktail competition serve their signature drinks, and the high-ceiling bar echoes with a mix of DJ beats, ice hitting cocktail tins, and too many different languages and accents to keep track of. It’s a far different scene than the Cognac of a decade ago. Cognac, a town of fewer than 20,000 people, is two hours north by train from Bordeaux (an hour and a half by car). It’s full of Old World charm thanks to tight and winding stone streets that lead to the Charente River. Cognac is also, of course, famous for the brandy that shares the town’s name. That’s been true of Cognac for centuries. There’s a new energy in the town, though. 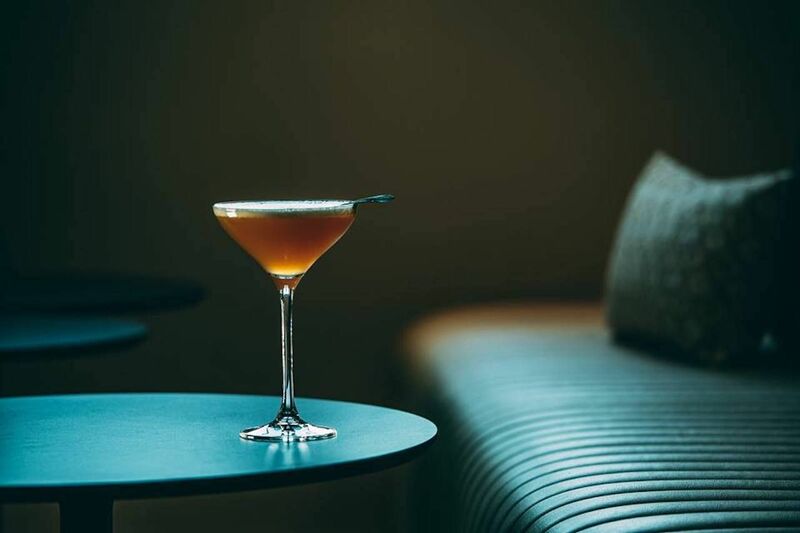 In 2012, the first serious cocktail-focused bar opened, Bar Louise, followed by Bar Luciole in 2017, and, most recently, 1838 in the Hôtel Chais Monnet. Cognac isn’t that late to cocktails when you consider that Paris really only hit its stride with cocktail bars in the late 2000s. The feel is different in Cognac, though, as there’s a heavy focus on local — not a given considering that the French only consume around two percent of all Cognac (the spirit) produced. Outside of brandy, other spirits producers — like Audemus Spirits, which makes Umami, Hoppy, and Pink Peppercorn gins — have inspired a new nickname for the region: Spirits Valley. The streets are quiet after leaving Bar Luciole for a dinner reservation at Chez Poulpette. The restaurant is a different story. It has the same energy as the bar, fueled by a short menu that changes based on what chefs Antoine Vernouillet and Amandine Bernanose find fresh at the market. That said, no matter how much of Cognac you soak in, it’s not Paris or Bordeaux. Even with modern flairs, Cognac is more like the small town in Beauty and the Beast, only with block-long buildings occupied by brands like Hennessy and Martell. Explore the city correctly, however, and you’ll find a mix of traditional and modern France that’s an ideal two-to-three day escape from the well-worn tourist paths through France’s more famous cities. You can enjoy Cognac the city without enjoying Cognac the spirit, though you’d be missing out if you don’t give everything you see a try. Cognac as both a spirit category and a town are embracing cocktails. Brands are catering to bartenders with special releases, and bartenders are opening up new places to go in the city. Bar Louise sits on the bottom floor of Hôtel François Premier at the start of the pedestrian thoroughfare Rue d’Angouléme. Local is the way to go here, and it’s best to let the bartender walk you through the menu. Choose from one of the originals, which are organized by the type of glass they’re in (a special “Daily Cooked” cocktail made in a sous vide with whatever’s in season is tacked on the end of the menu). Cocktails are around €15, but pay a little more and you can get behind the bar and learn how to make the drinks yourself. You won’t leave feeling like Tom Cruise in Cocktail, but you will get a better understanding of Cognac’s signature spirit and how to use it in ways few people outside of the town are doing. The newest cocktail option in Cognac is 1838. Plush leather couches form small gathering areas in the massive space. The bar in the back has a mid-century modern vibe while a ladder leads up to a second floor of lockers holding what feels like an uncountable number of different Cognac bottles. 1838 and the hotel it’s in, Chais Monnet, are indicative of Cognac’s new style. On the other side of town, you’ll find Bar Luciole, another Cognac-focused cocktail bar that’s interested in propping the category up. For a different taste of local, try the wine bar La Verre a Pied. 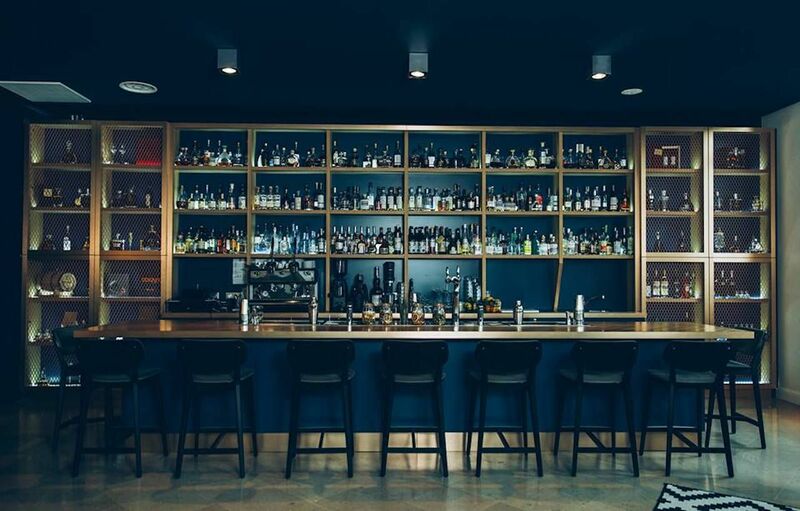 The trendy space has wood fixtures on the walls that are vaguely cave-like, and the selection is decidedly French with a strong representation of wines made in the Cognac region. For a casual midday drink, you can’t go wrong with a beer outside (no matter the season) at one of the many bistros that circle the Place François roundabout in the center of town. No one needs to tell you that the food in France is good. Food is part of what makes the country so enchanting. So eat. A lot. 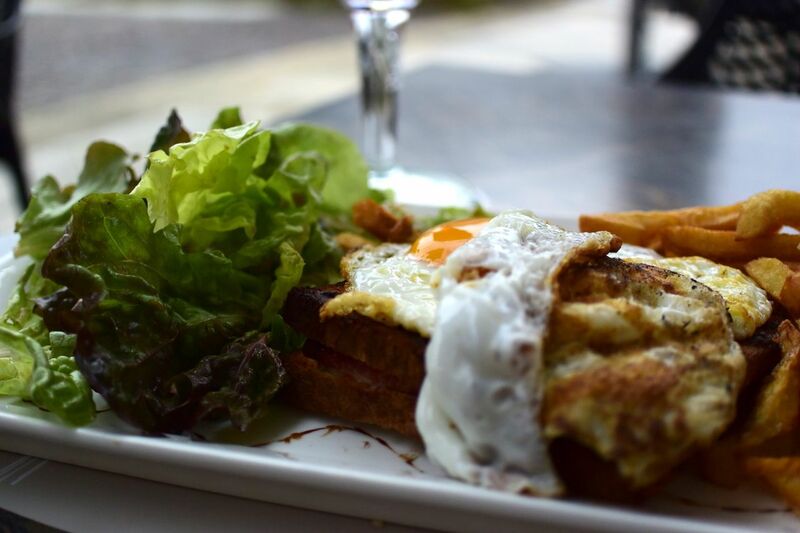 Eat the two-egg croque madames at the bistros and the cheese sandwiches on a baguette from the sandwich shops. Eat the snails and the tête de veau (veal head). Order the prix fixe menu even if you don’t know half the words, and pick up one or two streetside crêpes. You won’t like all of it, but whatever you do, don’t eat at the Subway across from the bistros and cafes. For a taste of what’s fresh in Cognac, visit Poulpette. The menu is cut down to choosing between two starters, two main courses, and a dessert or cheese, and local wines and spirits are available to pair with the meal. 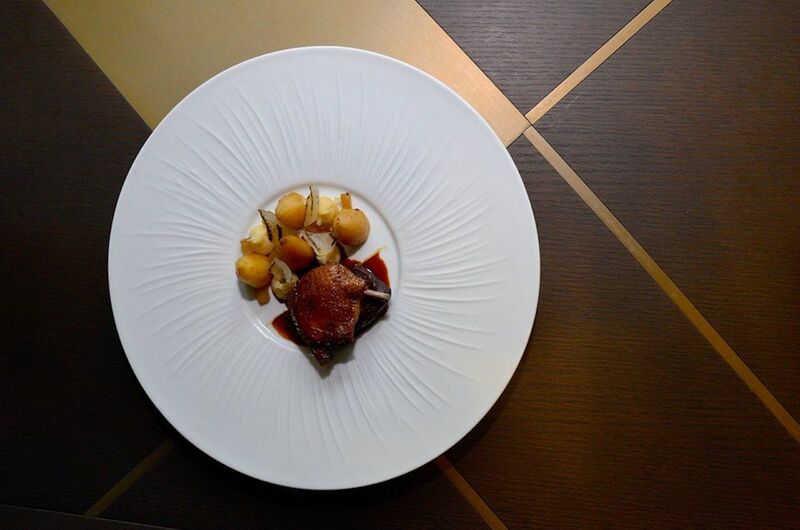 Enjoy a traditional meal along the river at L’Atelier des Quais. Shellfish and bulots (sea snails) are the way to go here. It’s hard to beat the view of the Charente and the Cognac houses across the river from the terrace. Upscale seafood can also be found at Chez Claude, and La Distillerie in Chais Monnet offers modern classics in a setting with an elevated air. Start your day at one of the three local markets. The largest, on the Left Bank of the Charente, runs from 9:00 AM to around 1:00 PM every day but Monday. There, you’ll find produce and paté alongside flowers and local-made sausages. Also cheese. Lots of cheese. Complete a day of strolling along the river and through the public garden in the center of town. Pretty much everything in Cognac is a short walk away, and the weather rarely gets cold enough to make a walk uncomfortable. No trip to Cognac is complete without Cognac. Street signs point the way to the major Cognac houses, where you’ll find brand tours and education at both small and large brands. 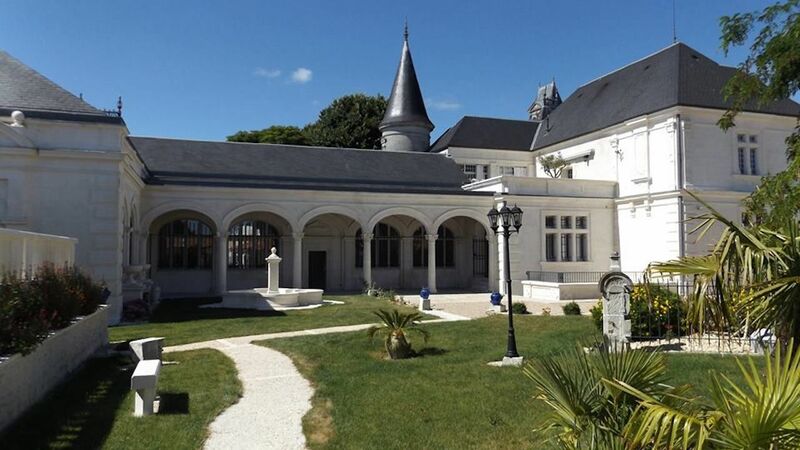 For a broader perspective of the spirit and its place in the history of the town, make a stop at Musée des Arts du Cognac, where you can see how the region has developed and catch a glimpse of what the grapevines surrounding the country hillsides look like in the museum’s mini garden. If you have a couple of days, it’s worth using Cognac as your home base and checking out the nearby area. 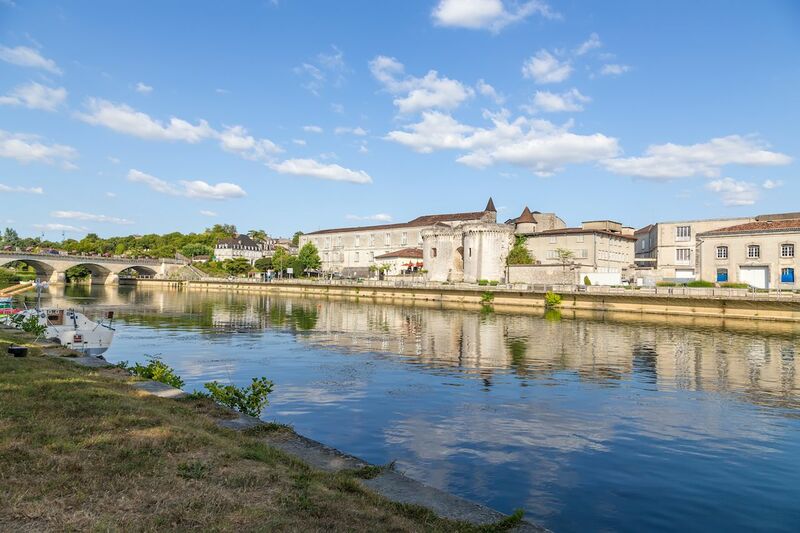 Jarnac, the home of distilleries like Courvoisier and Hine, is where to go for the spirit-curious. A drive through the many vineyards around Cognac lends perspective to the more provincial side of the region. 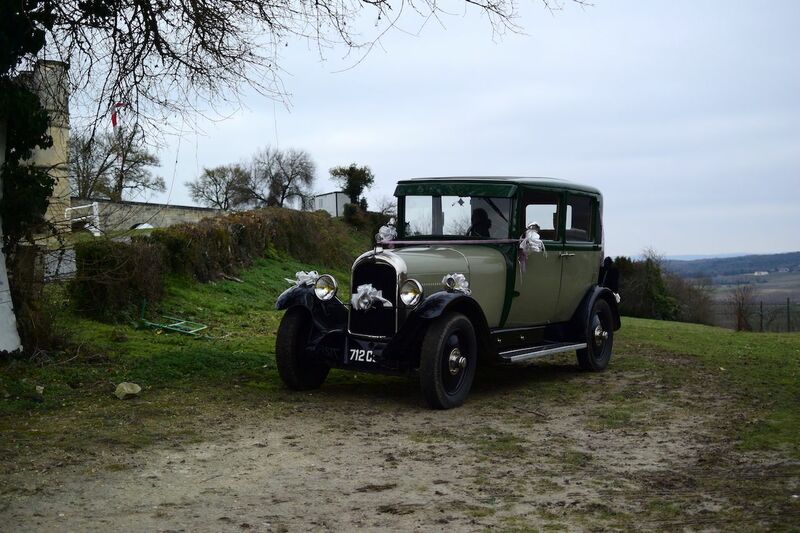 Skip the driving and see the vineyards from the backseat of mid-1900s cars with XO Madame, a wine and Cognac tour company. Luxury is easy to find in Cognac. 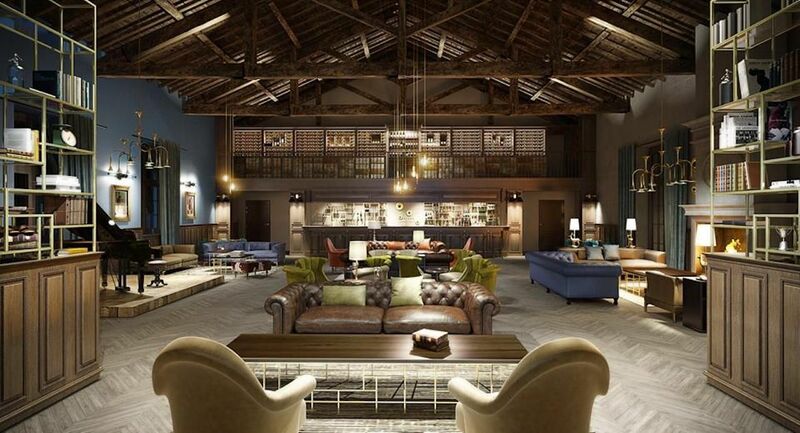 People on business or looking for a retreat have Chais Monnet, which is a 92-room complex inside a former Cognac warehouse complete with a spa, conference room, and the aforementioned restaurant and bar. François Premier is another upscale hotel with upper-floor rooms that have views over the entire town. It’s centrally located, although you don’t have to go farther than downstairs for a nightcap at Bar Louise. For a different type of experience, you can stay at the recently remodeled Chateau Pellisson. The stone chateau is like a trip into the past with a touch of modern thanks to jacuzzi tubs and good wifi. You don’t have to settle if you’re traveling on a budget. Airbnb has a solid selection of hosts with rooms for under $100, and in many cases under $50, a night. That way, you can choose to spend your money on the things that really matter: Cognac, cocktails, and cheese.